*If you are logged into your account, the only difference with this first step is the appearance of the site. From here, you will select your state and education level then click on “Find Courses”. Now a new screen will load that lists all courses, memberships, and packages available to you based on the selections you made on the previous screen. 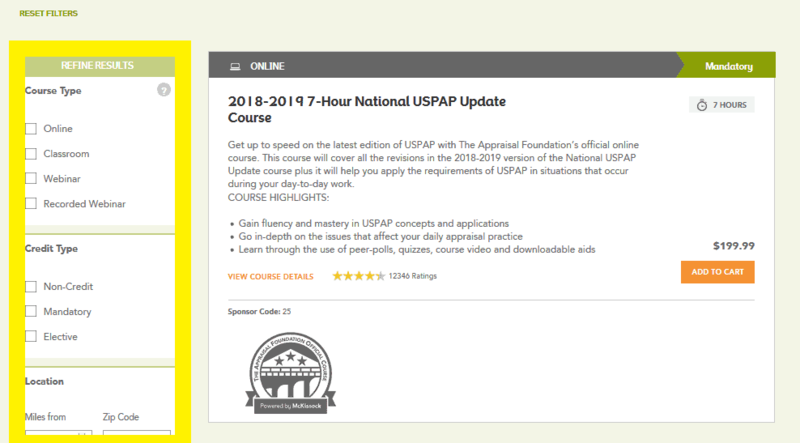 Please scroll down the screen below the membership and package information to view individual course listing and amazing filter options! 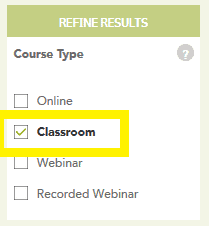 You can refine your results further by using the location, dates, and instructor options! *Our Listings are updated as new courses become available. Please check back to see what new things we have to offer! If there is a specific course that you would like to see please let us know through the “contact us” button.